The Eye and The Earth are ONE in the same. As I was looking at your eye, I was observing the different shapes. 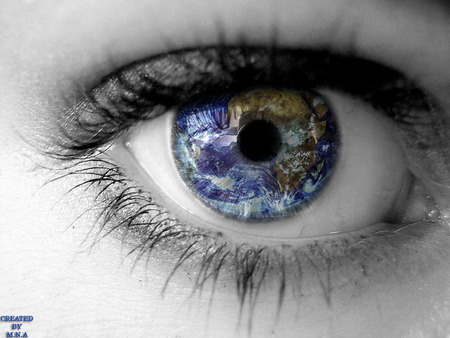 The closer I looked, the more I began to recognize the similarity between the eye and the earth. Your blue colored eye and the different shapes looked similar to that of the earth. And the eye and the earth are ONE in the same.